Every year we work hard to provide as many children as possible with the life changing support of an Autism Assistance Dog. These dogs are invaluable and improve not only the child’s life but the whole families. This isn’t respite, an hour a week of intervention or a week away in Disney World. This is a life line to a new and better world. 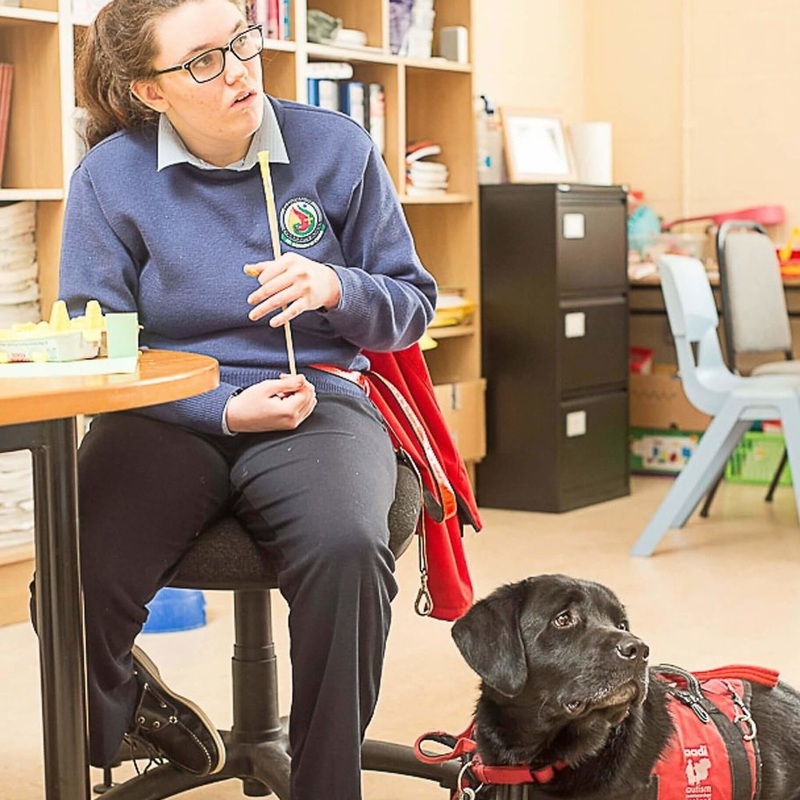 Read below the amazing stories of how our Autism Assistance Dogs change lives. To sponsor a puppy in training and change the world for a child with autism please click here. Linda Christianson firmly believes that her son Ben's assistance dog changed all of their lives. “People suddenly saw my child differently, they understood that there was a disability and they became much more supportive of all of us. “Simple things like going in to a shop with Rebecca were a nightmare. She would run away, go into places she wasn’t allowed and we were like an army around her trying to keep her safe…. Sign up with your email address to receive news and pupdates. Please donate and make life better for children with autism and their families.